Today is the launch of our brand new website. Jack sent us a lovely message! I first met Margi when I was 10 years old at Sydney Vocal Arts Centre – wow, I can’t believe it’s been that long! Margi has been a dear friend and vocal coach for me since then and has given me the vocal foundations I needed to pursue a career in singing. The one thing I’ve loved about being trained by Margi is that her style of teaching has always been one of a vocal technician. Margi taught me how to take care of my voice, she didn’t teach me into singing a certain style. Margi taught me technique, projection, control, breathing, performance, and the overall execution of a song. I think this is really what a great vocal coach/singing teacher does. Margi has always been there for me and I’m so grateful for her input into my life & career. Sydney Eisteddfod 2018 – Congratulations! 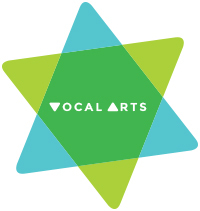 EARLY BIRD DISCOUNT until 29th March (see website) for our upcoming Autumn Holiday SINGING Program for 6-12 year olds! We had such a fantastic week teaching these 20 incredibly fun kids at our ‘Come and Sing’ holiday program this week; ‘80’s Til Now ‘! Hey Lucas, do you have to do the 4 days?